BPW Australia - BPW Strathfield - Let's talk. BPW Strathfield - Let's talk. Do you want to be part of a network of lively and interesting women who champion the right of women to participate at all levels in the world of work. We can advocate and create awareness, encourage debate and driving change. And we network, learn and have fun along the way. 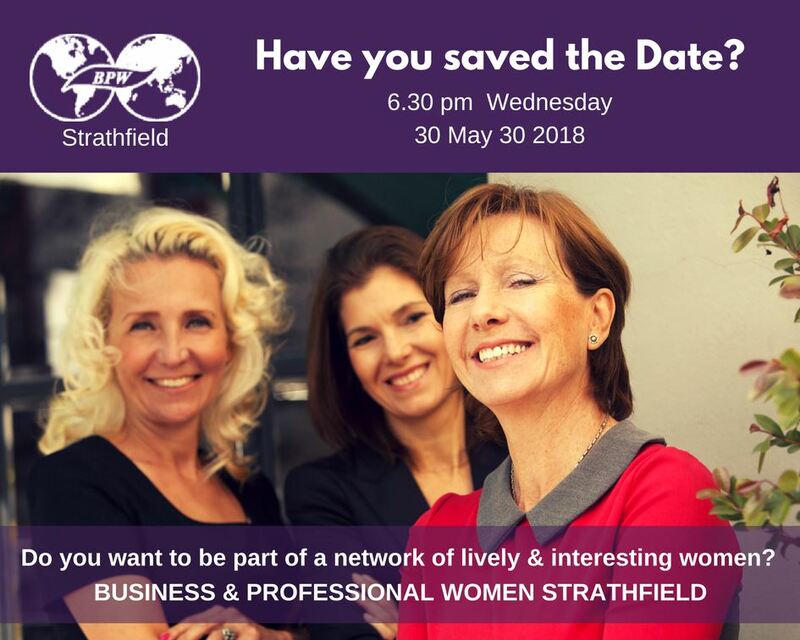 Come along to your local Business & Professional Women club - BPW Strathfield. Your input will help. The BPW Group is a well established union of clubs and part of the global women's network. full-screen mode and double-click anywhere on the page to zoom in further.